When there is severe weather a list of schools that are being affected in Derby, Derbyshire and East Staffordshire will appear below. You can also hear details on BBC Radio Derby. School closed to all years. School will open at 10.30 today. School closed today (Monday) and will reopen at 10:00 GMT tomorrow (Tuesday). Closed due to dangerous driving conditions. Closed due to icy conditions. School will be opening at 10:00 GMT to allow staff and children to arrive safely. 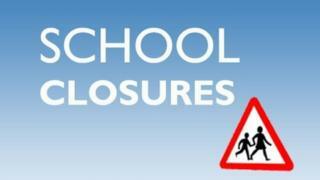 Due to heating failure the school is closed to nursery and reception children. Years 1-6 open as normal. School closed due to bad weather.